If you need roof repair or installation in Gordon County, GA, look no further than Burell Built Exteriors! Our experienced roofers work on both residential and commercial properties, including hotels, restaurants, and more. Give us a call anytime at (865) 385-6926 to get more details about our roofing company in Gordon County, GA.
Our contractors are proud to specialize in many roofing techniques and materials for your home or commercial building. As a local company, we are familiar with many common issues that home- and business-owners face with their roof systems, and we have the proper solutions. Call us 24/7 at (865) 385-6926 for emergency roof repair too! 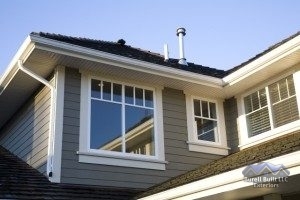 As our business name suggests, we also offer home exterior services such as window replacement, gutter installation, and more. If you need a reliable roofing company in Gordon County, GA choose Burell Built Exteriors, family owned and operated!